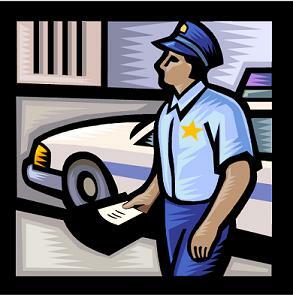 Calling all Law Enforcement Departments, "Star Micronics is printing electronic citations". W-i-d-e Width paper capacity up to 4.4 inches provides ample room for legible e-citations printed at high speed thermal printing -- easy to recognize descriptions of Star thermal printers in law enforcement. Effortless printing allowing officers to keep watch on suspects while citation processing. Vertical mount stands can be affixed to vehicle consoles for space savings, "drop in and print" paper roll replacement for time and convenience, and optional mobile power supply adapters for in-vehicle operation all add up to simple and easy e-citation printing for law enforcement officers.